A simple and user-friendly way to display lyrics from our songbooks, musicals and nativities on any whiteboard, computer screen or interactive touchscreen. Just press play and the words synchronise with the music. 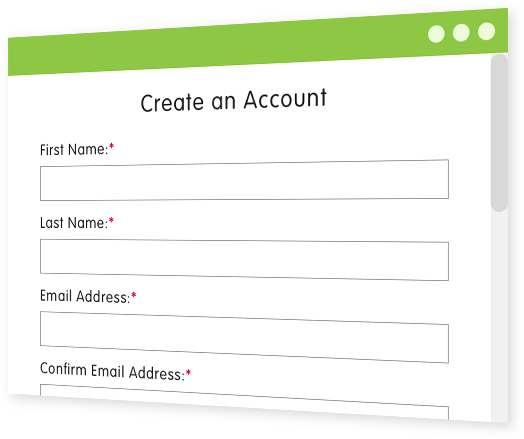 *You will be asked either to log in or to sign up for an online account. Don’t worry there are no obligations. How do I get Words on Screen™? Words on Screen™ comes with every purchase of a premium product and most titles are supplied in a CD ROM format. You can also access all of your Words on Screen™ purchases digitally via your Out of the Ark Music online account. The online version contains extra features to make accessing your music and resources even easier. If you have purchased a songbook containing Words on Screen™, you will be sent a CD ROM* in the post, along with your songbook, musical or nativity. Run the Words on Screen™ CD ROM and take advantage of all the features on offer. Think of this as as the place to use the digital version of your songbook, musical or nativity. You can go online to access your eSongbooks at any time. 020 8481 7200 if you require further help. Access all of your Out of the Ark Music songs and resources. Stored in one convenient place for you. Every song you’ve purchased online can be downloaded to your computer. Once downloaded, these can be played without needing an internet connection. Words on Screen™ online allows you to stream your songs anywhere, anytime you like, as long as you have an internet connection. Words on Screen™ online lets you create and manage your own custom playlists. All Words on Screen™ songs include full vocal and instrumental tracks. 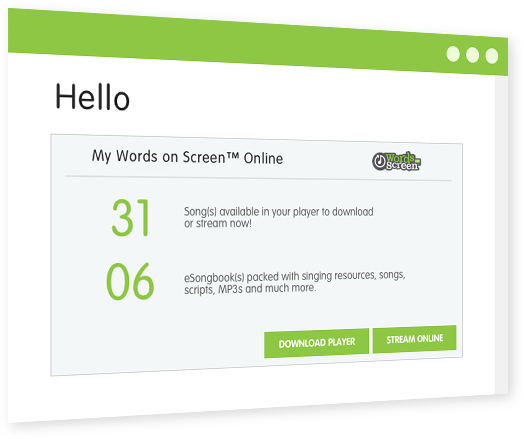 You can print the score and lyrics for each on your songs straight from Words on Screen™. Click on the my account login button (top right of this website). Log in if you are an exsiting customer, or click on I Am A New Customer to begin the log in process. Forgotten your log in? Don’t worry, click here. As new customer, you will be required to create an account. Once you have logged into your Out of the Ark Music online account, you can access all your saved account information, plus your Words on Screen™ Single Songs and eSongbooks. Choose either to stream your songs or download your player to access your songs, by clicking within the My Words on Screen™ Online panel on your account dashboard. Watch our easy-to-follow 2 minute ‘How-To’ video to see Words On Screen™ in action! Using eSongbooks is easy! Watch to find out more. Find out how to use playlists in this quick video. What is Words on Screen™? 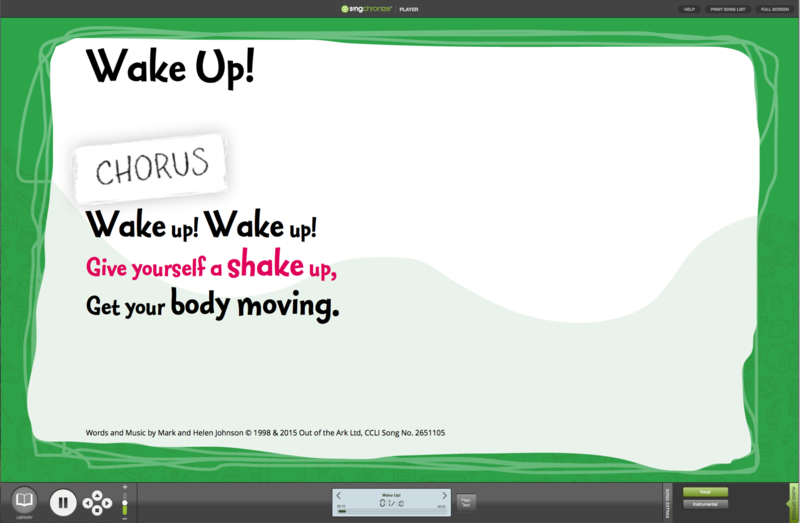 Words on Screen™ is our unique software that allows you to teach songs with ease. It uses our Singchronize® technology enabling the song lyrics to synchronise automatically with the music – a great way to display song lyrics in the classroom or in the hall. What is the Words on Screen™ Player? The Words on Screen™ player is an application that gives you access to all of your songs plus their associated resources. It’s the place where you can play your songs. If you purchase a Words on Screen™ CD ROM the player is included on the disc along with your songs. If you prefer to access your songs online you can download a player. Alternatively, if you prefer to stream your songs, a streaming version of the player is available. This will open in your web browser. What is the Words on Screen™ Download player? What is Words on Screen™ Online? If you have purchased any Words on Screen™ resources then you can access them online provided that you have an online account with Out of the Ark Music. Words on Screen™ Online makes your songs available either via a download player or via streaming – the choice is yours. ‘Stream Online’ or ‘Download Player’ - which one is for me? Why 'Stream Online'? This function gives you the flexibility to log in and access your songs anywhere, provided you have an internet connection. When you stream your songs, every song you have purchased will be visible and playable from the streaming player that opens in your web browser. Why 'Download Player'? If you have an unreliable or slow internet connection, it’s better to download a Words on Screen™ player. This will enable you to have complete access to your songs at any time without the need for internet connection once the download has completed. (You will of course need an internet connection initially to download the player and your songs. You could do this at home or in another part of the school with a better connection.) Once the player is downloaded, each song must be downloaded separately by clicking on the orange symbol to the left of the song title in the library view. If you’ve purchased an eSongbook and want to download the entire product including its additional features, we recommend clicking 'Download eSongbook' so that all songs and book resources download together. Still unsure? Contact our helpful digital team on 020 8481 7202. Please note: the player and songs you have downloaded will only be available on the device you have downloaded them to. I’m confused, I’m being asked to download my Singchronize® Player to access my songs. What is this? Don’t worry, the word Singchronize® is simply another name we use for the Words on Screen™ Player. Singchronize® is the technology we used to create Words on Screen™. In the past we called the Words on Screen™ Player a ‘Singchronize® Player’. Whilst the name has changed, the player, and access to it, functions in the same way. What Do I Get With Words on Screen™ Online? If you have purchased any Premium Package option via our website, Words on Screen™ Online allows you to access a digital version of your songbook – we call this an eSongbook. You can also access any Single Songs that you have purchased. All of the eSongbooks accessed in this way contain all of the resources that are included on the Words on Screen™ CD ROM but also include additional features such as a song library where you can see all of your Words on Screen™ songs in one place. How Do I Access Words on Screen™ Online? When purchasing products via our website, you need to create an account if you are a new customer, or log into your account if you are an existing customer. You can then access Words on Screen™ Online at any time by logging into your account – all your songs and eSongbooks will be there. Look for the top left panel within your My Account page. From there you can either download a player or stream your songs. 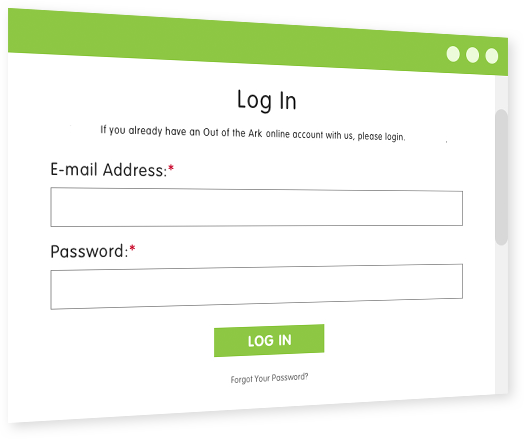 Once you have downloaded a Words on Screen™ player you do not need to go into your account area again – simply open the player and log in using the same login details that you normally use to log into your account. If you ordered a Words on Screen™ product via post/email/fax or telephone, you will need to set up an online account via our website and contact our friendly Customer Services Team who will ‘drop’ the digital version of your product into your new online account. You will then be able to download or stream your songs. Click here to set up an online account. Still confused? Call our Customer Services Team who will be able to help on 020 8481 7200. What is Words on Screen™ Original? Words on Screen™ Original is, as the name suggests, our original version of Words on Screen™. It is now only available on a few titles. Words on Screen™ Original is not available online. We have been working continuously to update Words on Screen™ and will continue to do so to provide you with the most up-to-date software and to make your user experience the best it can be. Our latest version works in a very similar way to the original, however there are some differences. If you have a Words on Screen™ Original product and would like the latest version, you can order it directly from our website or via our Customer Services Team on 020 8481 7200. I know I have an account with Out of the Ark Music as I have purchased products from you before. Is an online account different? All customers who have bought directly from Out of the Ark Music have an account with us. However only those customers that have bought online (from our website) have an ‘online account’. If you order a Words on Screen™ product via your online account, your eSongbook will automatically appear once you open your Words on Screen™ player (either streaming or download). However, if you have ordered a Words on Screen™ product via post/email/fax or telephone and want to access your songs online then you will need to set up an online account via our website and contact our friendly Customer Services Team who will ‘drop’ the digital version of your songs into your new online account. You will then be able to download or stream your songs. Click here to set up an online account. I’ve forgotten how to log into my account. Please note that you will need the Words on Screen™ player version 2.0 and above to view eSongbooks. To download the latest version of the player, either to update your existing player, or for the first time, please click here. Where can I find my eSongbook? Once you have a logged into your Out of the Ark Music online account, will be see your account page. This is where you will be able to access all of your digital resources by either streaming or downloading via the My Words on Screen™ Online box. When your player is open you will find a link for ‘All eSongbooks’ on the left hand side menu bar. Click on this, and you will see a list of all the eSongbooks you have purchased. I’ve bought an eSongbook but it's not appearing in my Player? If you have bought a Premium Pack product online, which includes Words on Screen™, whilst still logged in to your installed Player you will need to click the 'Refresh' button on the left-hand side of your library screen. This will update your library with all purchases. You will then be able to download and play your new songs and eSongbook in the player. I purchased a 'My World' Premium Pack product but have only received the book and audio CD. If you have purchased a My World Premium Pack product, you will not receive a Words on Screen™ CD ROM. You can still access all the Words on Screen™ features by logging into your online account from which you placed your order. From here you can download a player or stream the songs. Your My World eSongbook will be waiting for you in ‘All eSongboooks’. I know my school has purchased many online products, but when I log into my online account, I cannot see these products. When a Words on Screen™ product is purchased, the online features will only appear in the account that was used to place the order. If a product has been purchased for you to use through someone else’s account, you will need to obtain their login details to access the product, or you can call our Customer Services Team who will be able to help on 020 8481 7200. What is inside an eSongbook? Open up an eSongbook by clicking on the title you require. This will show you all the songs included in the title. Links to the resources available can be found on the left-hand side menu bar. Click on any of the links and your resources will be appear in a printable format. Your list of resources include printable lyrics, score and music activities where applicable. They may also include a glossary, creative ideas or more. To find out what your eSongbook includes simply click on the left hand side menu bar for each product. I can see all my eSongbooks and songs, but where are all the other features like the script, score, lyrics, dance videos etc.? After selecting an eSongbook, you can find all extra resources available for that product on the left-hand side of the screen. All eSongbooks come with MP3s, printable lyrics and score sheets. All musicals and nativities also come with a printable script. Some eSongbooks, musicals and nativities also include links to suggested choreography videos, craft activities and more. When I click to view my eSongbooks, I can’t seem to use the search bar function. Don’t worry, we’re aware of this, and are working on a fix. In the meantime, if you want to search for a particular song, you need to click on the link in the left hand menu bar labelled ‘All Songs’. This will then display all the songs you have in your library. To search for a song, simply start typing the chosen song title in the search bar on the top left of the Player screen. Your song, and other similar songs, will display. Please Note: If you suddenly cannot see a lot of your songs, whether you’re looking in ‘All Songs’ or in a particular eSongbook, double check that your search bar is empty - it may still be trying to help you find what you’re no longer looking for! Even if it looks blank, it might have a ‘space’ in it which will affect the songs appearing on your screen. Why are none of my songs showing in my player? If you’re experiencing this problem, it’s most likely because something has been typed in the search box. Even if it looks blank, it might have a ‘space’ in it which will affect the songs appearing on your screen. Can I use my Words on Screen ™ on my tablet or mobile phone? You can now stream the Words on Screen™ Player from your iPad and Android tablet devices. Words on Screen™ is not currently designed to work on phones. Can I use Words on Screen™ across a school network? When using the Words on Screen™ Download Player, the player and songs have to be installed/downloaded to each computer in your network; they cannot just be installed/downloaded to one computer or server and then used across a network. When you download and install the player onto a specific computer and click refresh, the player will show all songs purchased in your account, but you will only be able to play the ones that you have downloaded to that specific computer. There is no limit to how many computers you can download your songs to, but they must be for use within a single establishment. Please Note: You can stream all of your songs in your anywhere and at any time with a good internet connection (accessible when you have logged into your online account – click here to log in). If you wish to share all of the songs purchased within the school, we suggest that you set up a single online account with us first so that access can be shared across the school to all songs purchased through that single account. If you wish to install a Words on Screen™ CD ROM onto your server, you will need to install it on a local location, e.g. your desktop, before moving this installed folder to any network location. You cannot install the download player onto a shared server. What should I do if my school server won’t allow me to download my songs? A few schools find that their server blocks them from downloading the Words on Screen™ Player and accessing the songs. If this happens, please follow a few simple steps in the next FAQ below to allow you to access your songs. I’m having trouble logging in to my Download Player. What do I do next? If the warning message in the login screen states "Oops! Wrong Email Address or Password, please try again" then please double check the email address you used when purchasing your songs. If it is correct then check your password. If your can't remember your password, click here. Option 1. Register your device online to continue with your Download Player. This is a quick temporary solution that will last as long as you remain logged in. Follow the instructions that will take you to our website to register your device. To remain logged in at the end of your session, simply close the program without logging out (click on the red cross then click Exit, but do not log out). Option 2. Play your songs online in your Streaming Player. You can use the Streaming Player from any computer with a good internet connection. You will need to be logged into your account on our website to use this option – simply go to your account and choose ‘Stream Online’ from your ‘My Words on Screen™ Online’ area. This will open a player in your internet browser containing all of your songs and eSongbooks. The Streaming Player works in exactly the same way as the Download Player (performance depends on your internet connection speed). Option 3. Get information for your IT department to implement a solution. This should be a permanent solution, but does not work for all proxy servers. Your IT department will need the following information. The downloaded player attempts to connect to www.outoftheark.co.uk using SSL over port 443. When in school, if your computer is sending all web traffic through a proxy then your IT department either need to put in place an exception so that traffic to www.outoftheark.co.uk is not sent to the proxy or so that traffic from www.outoftheark.co.uk is sent back to the client computer un-edited by the proxy (e.g. decrypted and then re-encrypted using your in-house certificate). Please also note that it is www.outoftheark.co.uk - not outoftheark.co.uk - the www prefix is essential. Ideally, your proxy exception should be made using the domain name and not the IP address. This is because the latter is occasionally subject to change. However, if you are only able to create exceptions by IP address, our current website IP is 72.32.211.105. This paragraph will be updated when we are aware of an IP change. Click here to open a PDF with this information to send to your IT co-ordinator. Option 4. Download your songs to your PC or Mac laptop at home first. Download all of the songs from your account that you need on your laptop at home, and then just close the application (click on the red cross then click exit, but do not log out). When you reopen the application on the same laptop at school, you will not need to log in, and you will be able to play the songs without needing to connect to the internet through the proxy server. Can I use my Words on Screen™ Player without internet access? Yes a Download Player can be used independently of an internet connection provided that the songs have already been downloaded. You will need to log into the Download Player in a place with internet access and then download all of the songs that you need and then just close the application (click on the red cross, but do not log out). When you reopen the application you will be able to play the songs without needing to log in or connect to the internet. If you log out you will require internet access to log back in. Can I buy the songbooks or songs as physical products? Yes. Nearly all titles are available in a physical book and audio CD format. In addition CD ROMs with Words on Screen™ are also available for most products. These can be purchased as part of a Premium Pack. Most of the single songs available online are also featured in our physical songbooks and audio CD or CD ROM products. However, some new songs are currently ONLY available as online digital products and cannot be purcashed on any physical medium. Can I purchase Single Songs? There are a number of songs that you can purchase individually. Click here to view them. These songs all come with Words on Screen™, and can be downloaded or streamed when you log into your online account. Single song downloads do not come as a physical product, and can only be accessed online. They also come with additional resources such as teacher’s notes, music scores and lyric sheets. What is the latest verson of the Download Player? The latest version of the player is v2.10 and we recommend that you use the latest version of the player in order to benefit from the latest features. To update your Download Player to the latest version, please follow the instructions in the next FAQ below. How do I start using my Words on Screen™ Download Player? Log into your Out of the Ark Music online account. Once logged in, your account dashboard will appear. On the left-hand side, within the My Words on Screen™ Online box, click on DOWNLOAD PLAYER (make sure you click Run rather than Save). The player will now begin downloading as an .msi file. Once the download has completed, a Windows Installer box will appear - Accept the Terms & Conditions and click Install. Once the installation process has finished, a Words on Screen™ Player icon should appear on your desktop. Open up the Player, log in and re-download any existing songs in your account by clicking on the orange buttons next to each song. There should be no need to delete your old Player as the new Player should overwrite it. Please note: If a message pops up to say that the file could be harmful, please be assured that the files are safe – click either Yes or Allow to continue the installation process. Log in to your Out of the Ark Music online account. Once logged in, your account dashboard will appear. 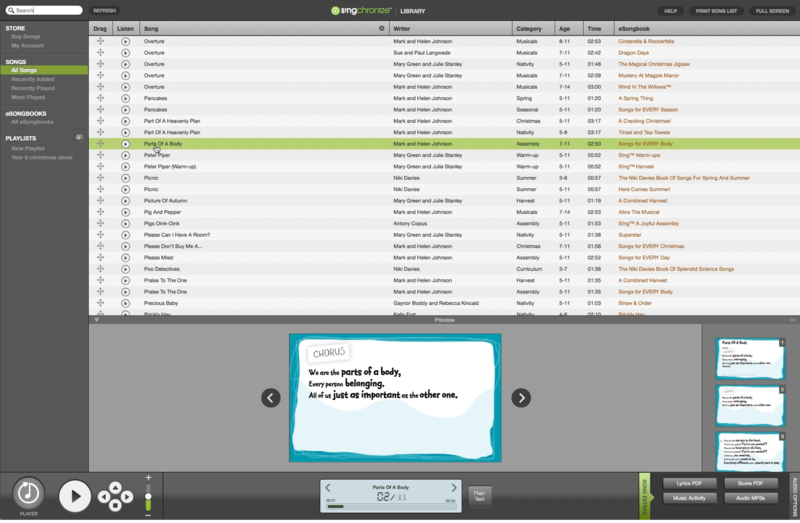 On the left hand side, within the My Words on Screen™ Online box, click on DOWNLOAD PLAYER. The player will now begin downloading as a .dmg file. Once the download has completed, double-click on the .dmg file in your Downloads folder. Drag the Words on Screen™ Player icon to the Applications folder. If you have an older version of the player, you may be prompted to replace it with the new player – please choose Replace. If your Mac is not allowing you to open the application, please adjust your settings to allow third party applications. You can do this by opening your System Preferences, going to Security & Privacy and choosing to allow apps to be downloaded from anywhere. 2.33GHz or faster x86-compatible processor or Intel® Atom™ 1.6GHz or faster process for netbooks. Do I need a licence to use Words on Screen™ software? Yes, but it’s slightly complicated so we recommend reading the next FAQs below to find out more about what licence suits your needs. You can find out more about our licences and copyright information here. What is a Single-User Licence? Limited digital usage rights for Words on Screen™ software are granted by a Single-User Licence which is granted to you when you purchase Words on Screen™ products. This allows you for example to install software on one computer but NOT the network server. More extensive digital usage, for example to install Words on Screen™ on multiple computers or onto a network server, requires an Annual Digital Site Licence, or, in the case of a musical or nativity, an Annual Performance Licence. What is an Annual Digital Site Licence? An Annual Digital Site Licence allows you to install a Words on Screen™ songbook on two or more computers or onto the school network on your premises. A separate Annual Digital Site Licence is required for each product title. Annual Digital Site Licences replace the Extension Licences that were formerly supplied by Out of the Ark Music. If you hold an Extension Licence this continues to be valid. What is an Annual Digital Site Licence – Multi-Product? If you have 4 or more songbook titles that you wish to license and install on two or more computers or onto the school network on your premises, an Out of the Ark Music Annual Digital Site Licence-Multi-Product allows for this. This licence covers the same usages as the single product licence, but gives you blanket digital permissions for all Out of the Ark products that you buy. However, it does not include the right to perform any of our musicals or nativities to an audience (other than pupils and staff) – a separate Annual Performance Licence is still required for each of those titles. What is an Annual Performance Licence? An Annual Performance Licence allows you to install Words on Screen™ MUSICALS AND NATIVITIES titles on two or more computers or onto the school network on your premises. It also covers you for performing our musicals or nativities to an audience. A separate Annual Performance Licence is required for each product title that you use in any of these ways. Please note: if you have purchased an Out of the Ark Annual Digital Site Licence – Multi-Product, this will cover the digital usage permissions above for these products, but does not cover the performance rights; an Annual Performance Licence will still be required to perform the musical or nativity. What do all of the above licences include? Installing Words on Screen™ song files from a CD ROM onto more than one computer or onto a network. Downloading Words on Screen™ song files onto more than one computer or onto a network. Copying song files from an audio CD onto more than one computer or onto a network. Copying MP3 audio files onto more than one computer or onto a network. Uploading digital content to an intranet or learning platform. Permitting usage of digital content at home for teachers for preparation purposes. Annual Digital Site Licences, An Out of the Ark Music Annual Digital Site Licence - Multi-Product and Annual Performance Licences can be purchased on the relevant product page or on the Buy Licences page of this website. Do I need a licence to display Words On Screen™ song lyrics on whiteboards or other screens? If you use the songs in a school assembly or in collective worship then you need a licence. A CWCL Licence from CCLI (Christian Copyright Licensing Ltd - https://uk.ccli.com/schools) grants you permission to display Words on Screen™ song lyrics on a whiteboard or other screen in assemblies. Simply log the song titles that you’ve used on your annual copy report. How do I find my CCLI number in order to log a song correctly? To view your full song list with all the appropriate CCLI numbers, look to the top right-hand side of your screen. Here you will find a button that reads ‘Print Song List’. Click on this and you will be able to save or print your full songlist which you can then reference later when logging your song usage on the CCLI website. (This also applies if you have installed the software from a CD ROM onto your computer.) When you exit Words On Screen™, you will be prompted to log your use of songs. The pop-up window will allow you to save or print your full songlist with with all the appropriate CCLI numbers. You can then reference this list later when logging your song usage on the CCLI website. Sign up for an Out Of The Ark Music account today, and get your first Words On Screen™ song absolutely free!